BSECS Best Paper Prize Winner! As we’ve mentioned before, we are pleased to offer a £50 prize, sponsored by BSECS, to postgraduates and early career researchers presenting at the conference. The prize will be awarded to one PG or ECR speaker whose paper demonstrates originality, depth of research, and strong presentational skills. Rosanne Waine from Bath Spa University is our winner for her paper “Women’s Textile Activism and Political Dress in the Long Eighteenth Century”. Also – don’t forget about the BSECS/CECS fellowship currently on offer. Details are available here. Conference Wrap Up and THANK YOU! Just wanted to pop in and say “THANK YOU” to all of our wonderful speakers and delegates that came to the conference this past weekend. We had a fabulous time and were blown away with all of the incredible papers and positive feedback! If you missed all of the conference action, a Storify account has been made recapping the the two days. View it here. We’re also in the process of selecting the winner of the £50 Best Postgraduate Paper, funded by BSECS. We’ll let you know when we’ve selected the winner! FINAL Programme and Conference Information! We will, hopefully, be live-tweeting a number of events so keep in touch! In addition to our lovely papers and costume exhibition, we are also pleased to announce that we will be partnering with curator Arlene Leis and the Norman Rea Gallery to showcase a collection of art inspired by the theme of “Difficult Women”. 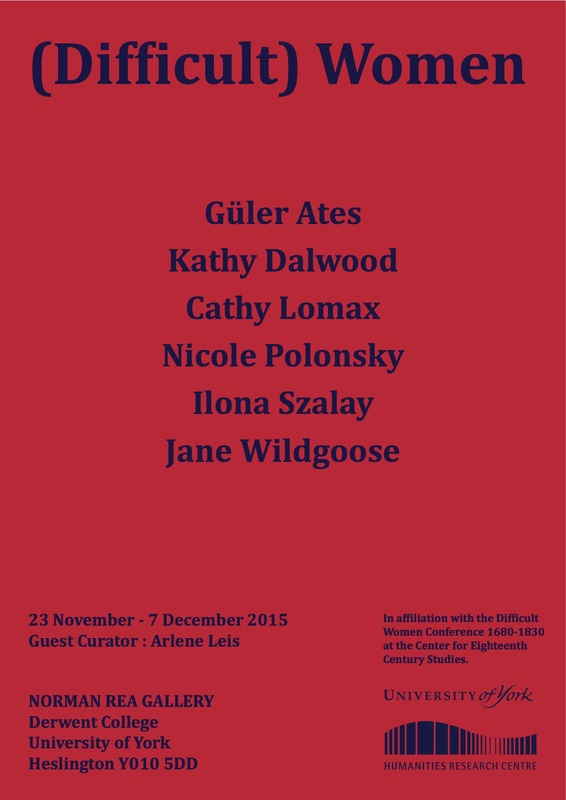 (Difficult) Women will run from November 23 – December 7th, featuring the talents of six artists. Admission is free, so please do stop by! Difficult women…what does that mean? Are women really ‘difficult’? Should they be perceived as ‘difficult’? Who exactly finds them ‘difficult’ and why? Perhaps the answer lies in how the term difficult is defined? According to the Merriam-Webster dictionary, it means ‘needing much skill or effort to do or make, not easy to deal with or manage, not willing to help others by changing your behavior, stubborn or unreasonable’. What does ‘difficult’ mean when applied to a person? Is being labeled a ‘difficult woman’ in today’s society a derogatory comment or a compliment? Is a ‘difficult’ woman hard to work with—or hard to control? Are they hard to label, hard to interpret, or hard to love? Is the concept of ‘difficult women’ rooted in patriarchal expectations of female submissiveness? If so, is being difficult a prerequisite for feminism? In conjunction with the Difficult Women conference, taking place at the University of York’s Centre for Eighteenth Century Studies is the group exhibition (Difficult) Women. The show will run from 24 November 2015 until 7 December 2015 at the university’s Norman Rea Gallery. It will showcase the work of six contemporary women artists working in a broad range of mediums: sculpture, installation, painting, photography and print-making. The artistic representations on offer focus on women within a variety of public and private settings. Women are explored through the varied roles they perform, as patients, historians, collectors, celebrities, reformers, fashionistas and students. Each artist aims to explore what the phrasing (Difficult) Women encapsulates in different women’s lifestyles and experiences in the 21st Century. Güler Ates was born in 1977 in Eastern Turkey, and she has been living and working in London for the past 17 years. She graduated in 2008 from the Royal College of Art with an MA in Printmaking. Currently, she is Digital Print Tutor at the Royal Academy Schools. Her work can be found in the print collections of the Victoria & Albert Museum, the Royal Academy of Art and the MAR in Rio de Janeiro. Ates’ work has been exhibited at the Summer Exhibition at the Royal Academy for the last several years as well as in solo exhibitions in Naples, Italy (May 2015), London (February 2015 at Art First and December 2014 at Marcelle Joseph Projects), Amsterdam (September 2014 at Warmond Castle with Marian Cramer Projects) and Rio de Janeiro (April 2014). Ates has completed residencies at Eton College (2015) and in Rio de Janeiro (2013-2014), Istanbul (2014) and India (2012 and 2009). Kathy Dalwood is an artist/designer living in London. She is known mostly for her plaster and concrete busts that draw on 18th and 19th century portrait busts. Throughout her career, Kathy has participated in numerous national and international solo and group shows, including Bergdorf Goodman, New York; Paul Smith, London; Pitzhanger Manor, London; Sweet 18, Antwerp, and Holburne Museum, Bath. She also collaborates with architects on public sculpture and design commissions. Cathy Lomax is an artist, writer and curator. On completing her MA in Fine Art at Central St. Martins in 2003 she set up Transition Gallery in east London. She also publishes two art and culture magazines, Arty and Garageland. Her work was shortlisted for the East London Painting Prize in 2014 and 2015. Lomax’s art work examines the romance and darkness of popular culture. In 2014 she was awarded an Abbey Painting Fellowship at the British School at Rome and her work was shortlisted for the East London Painting Prize in 2015 and 2015. Her most recent solo exhibition—American Tan—took place at Dolph, London SW2 in September 2015. Nicole Polonsky seeks out marginal and overlooked forms, objects, texts, symbols and media. Her understated, carefully calibrated interventions rearticulate them in new contexts and/or materials. Nicole gained her BA from the Ruskin School of Drawing and Fine Art, University of Oxford, and MA Printmaking from the Royal College of Art. Nicole coordinated scissorspaperstone artists’ book fair in collaboration with University of the West of England, and in 2014 was a guest speaker at the V & A on the use of type within her practice. With Sue Baker Kenton, Nicole devised Ghost[ed. ], a boxed suite of limited-edition stone lithographs by eight artists, published this year. Nicole has exhibited extensively throughout her career; her work has been featured in art publications and the national press. Nicole’s artist’s books are held in special collections including those at Chelsea College of Arts, Manchester Metropolitan University, Poetry Library (UK); MACBA (Spain); MoMA (USA). Ilona Szalay studied at Oxford University and Byam Shaw, University of the Arts. She has shown her paintings at many galleries and international art fairs. In 2013 she was selected as one of six finalists for the Threadneedle Prize, one of the most valuable art prizes in the UK. She also won the ORA Prize, an Italian contemporary art prize, and was chosen to show work in the Barbican Open Exhibition. In 2013 she had two solo shows of new paintings, one in Italy Octopus at Galleria Marelia and one in London Owl, Boy, Gun at Rebecca Hossack Gallery. At the beginning of 2014 she was selected by Rebecca Wilson, head curator at Saatchi Art, as one of 14 Artists from around the world to invest in. In the same year she exhibited paintings at Art 14 London, the Royal Academy Summer Exhibition and had a solo show of new work, entitled Mermaid, at the Tart Gallery in Zurich. This year she has shown paintings at the London Art Fair in January and Art15, London in May as well as having solo exhibitions in Edinburgh, Rome and Toronto. Jane Wildgoose is an artist, writer and researcher with a background in design for stage and film. She received an Arts Council Year of the Artist Award to work with the costume collection in Bexhill in 2000, and a NESTA fellowship to develop her role as Keeper of her own collection, The Wildgoose Memorial Library (a compendium of found and made objects dedicated to memory and mortality) in 2005. She was a Museumaker selected maker at the Harley Gallery, Welbeck, in 2010. She has drawn on the natural history and decorative arts collections at Yale University to present Promiscuous Assemblage, Friendship, and the Order of Things, a commission to devise a cabinet in celebration of the friendship between Mary Delany (1700-1788) and the Duchess of Portland (1715-1785) to accompany the exhibition Mrs. Delany and Her Circle at the Yale Center for British Art in 2009-10 and reconfigured the work at Sir John Soane’s Museum in London in collaboration with the Grant Museum of Anatomy (UCL), in 2010. During 2015 Jane exhibited Beyond All Price at Waddesdon Manor, focusing on the role of human hair as a subject for commemoration. She also completed a practice-based PhD in the School of Art and Design History at Kingston University, investigating and comparing the collection and interpretation of human skulls and hair in late Victorian London. 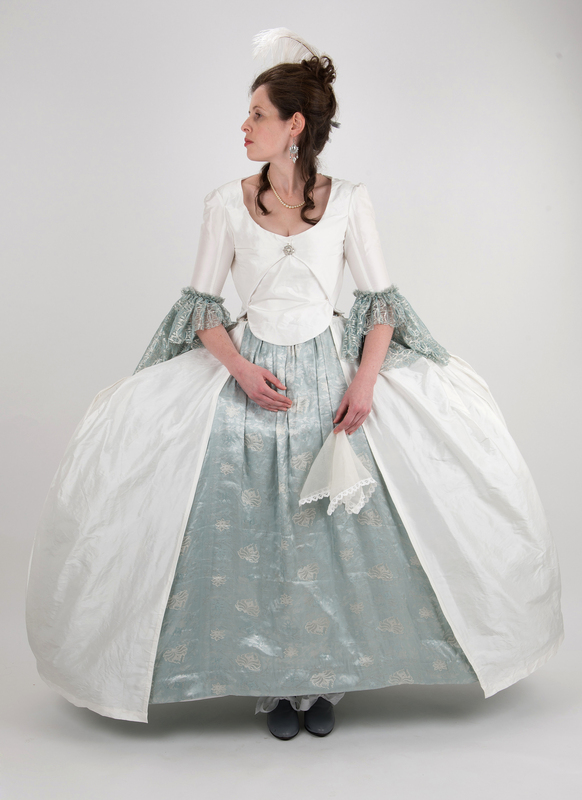 We’re pleased to announce that we’ll be showing a few curated costumes from leading historical costumer Lindsey Holmes during our conference. Inspired by the theme of “Difficult Women”, Lindsey will present us with a few of her creations! 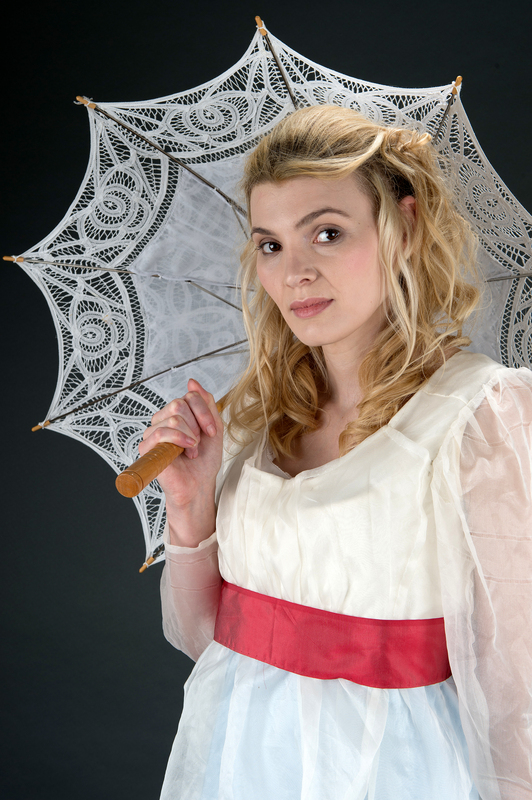 In our little studio, nestled on the edge of the Cambridgeshire Fens, we busy ourselves making costumes. Sometimes the costumes we make are hand stitched, historically accurate replicas from a bygone era, which bring the past back to life, stitch by stitch. Sometimes we create something completely new and a little bit strange, mixing fact and fiction to create costumes which push the boundaries of the imagination; and sometimes we make machine washable, flexible fit, quick-change, near indestructible costumes, which are both practical and beautiful. Wherever our needle takes us, the outcome is always made to the highest quality and designed to meet your specific needs. As well as providing costumes for performance, display, dress up and educational handling, we can also provide bespoke lectures and practical workshops. We can cater for all ages and abilities and deliver on site, in your own venue. Our lectures share the journeys others have taken while following their own needle. Our practical workshops encourage new and experienced sewers to explore the world of costume and textile skills, covering a broad range of historical periods and themes. We believe exploring the world through costume really is the best way to see it. To find out more get in touch (pith helmet optional). See more of Lindsey’s work on Flickr! Just wanted to pass along our finished conference schedule! Registration is still open, so don’t forget to put your name down!